Ilana here from Sugar and Type! 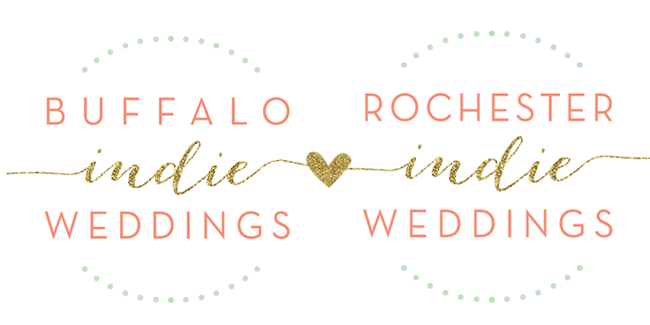 I'm excited to talk about a trend I'm sure you've been seeing in magazine, at weddings, and on pinterest of course: mismatch bridesmaids! If you're thinking about doing something like this, be sure to read on for a couple tips. 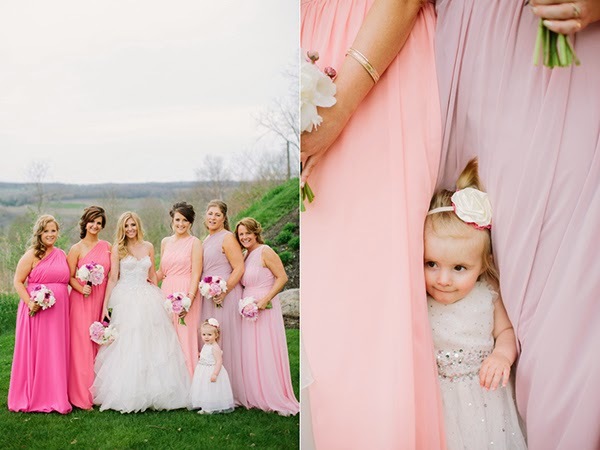 There's a couple ways to make each one of your bridesmaids look unique, that can be with color, or dress style. 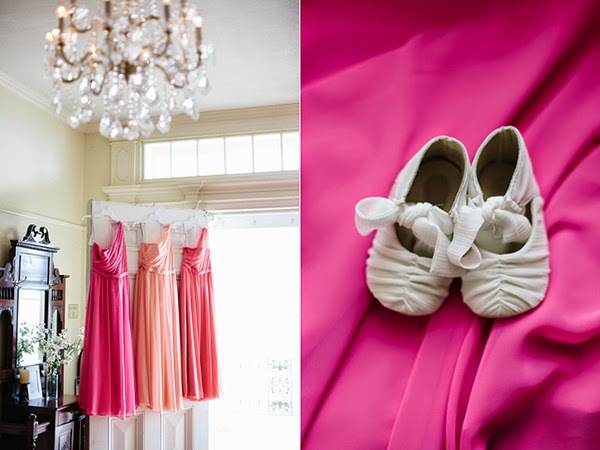 Before picking out your bridesmaids dresses, make sure you've got your color palette down. It's important to decide if you want to do the same dress in different colors, or a similar color in different styles. 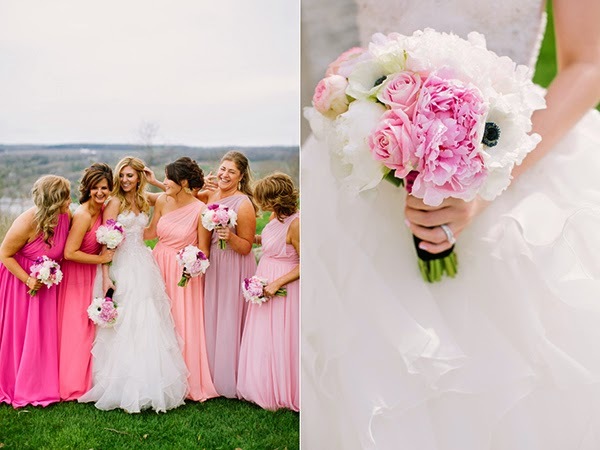 These bridesmaids range from bright pink to a light purple. The flowers bring everything full circle, and the dresses really make a statement. It feels cohesive, while letting each bridesmaid feel totally unique! Thanks Mary for sharing these beautiful photos with us! This is definitely one of the most beautiful places in here. The two best things about this place is the stunning view from the top and their delicious food.